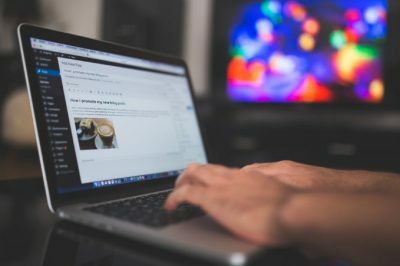 When I first started blogging, I would do it solely in the evenings when Emmy was asleep as she had a habit of grabbing the laptop, wildly pressing at buttons and one more than one occasion the laptop tumbled to the floor – thankfully bouncing instead of smashing but a lesson almost learnt the hard and expensive way. Fast forward over 7 years and with both children in full-time school, and a hobby which has now turned into my full-time job see’s me with 2 blogs (and a 3rd in the pipeline – yes I am mad) my evenings I now try to use for a little ‘me time’ so I work during the day while they are at school. Living where I do there isn’t really any decent coffee shops where I could go to work for a change of scenery – no Costa or Starbucks where I could easily spend the day refilling my cup and savouring a cake and a sandwich all day and certainly no free WiFi, occasionally I do use the library if I am having WiFi issues at home but mostly I work from the comfort of my sofa in my front room. I’m not sure this is the most productive place to work as sometimes I do get too comfy under a blanket and have been known to nod off, but it’s the most comfortable place to work. I do have a desk in the front room but as I can see the sofa from there I’d rather be sat there so I can spread out and relax. The downside to this room is the lighting isn’t great on dull and rainy days but I try to combat this by using my SAD lamp – this helps to trick my brain into thinking there is natural sunlight in the room and it does help. One of the downsides to working from my front room is I am constantly surrounded by the distractions of other jobs which do need doing. I can see the floor needs a hoover, that the kids have left their pyjama’s over the floor and I know there is washing in the basket waiting to go into the washing machine. I can hear when the dishwasher finishes and if I have a lull in writing I find myself heading off quickly to do these jobs and before I know it I’ve lost 2 hours and it’s time to collect the children from school. It’s for this reason I need to sort my spare room out and turn it into a home office. We do have a spare room, the box room which is currently filled with junk. This would be a perfect size for a home office and wouldn’t take too long to sort. It already has built-in shelving and drawer space. The above image is what I would have in my dream office: A brick feature wall, Dulles Corner Executive Desk from Wayfair currently on sale for £142.99, filing cabinet storage for all my paperwork – it’s surprising just how much I have, storage boxes for all the unfinished pieces of work – things awaiting photography etc, chalkboard to-do list because I do so love to cross things off my lists or just to rewrite them and also inspirational artwork is needed in every office space. Do you have a home office or a workspace? Are you more productive while using it?